Should I tell my recruitment consultant if I have been for an interview with a firm before? We, (Ten Percent Legal Recruitment) were contacted by a client somewhere in the UK to register a vacancy. We logged the vacancy and sent it out to a list of potential candidates, a few of whom replied. One of these was a character called Fred (name changed for obvious reasons). Fred got in touch to say he was very much interested in the job and could we please send his CV across to the firm. 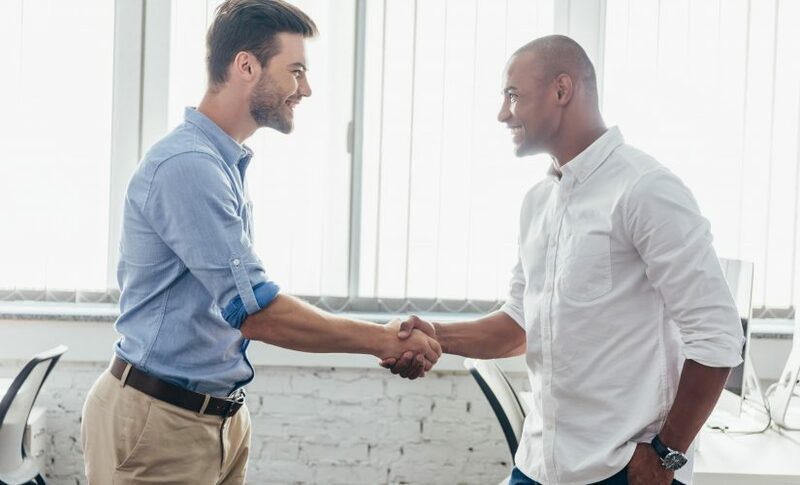 My colleague, a senior recruitment consultant with over 10 years experience, advised Fred who the firm were and Fred gave him consent to send his CV across. We sent the CV over to the firm, who we shall call Grabit & Run (for obvious reasons! ), who promptly got back to ask if they could interview Fred as soon as possible. We contacted Fred to arrange the interview and it was duly arranged and went ahead. Fred was interviewed by the senior partner of the firm, who we shall call Gordon Gekko (for what will become obvious reasons), and again this went well from Fred’s perspective as he emailed us to tell us. Unfortunately, Fred had not been completely open with us; he had omitted to mention that he had been interviewed by Grabit & Run before for a similar role, and appeared to have been rejected at that time. It is not clear how long ago before our interview he was interviewed, but Gordon Gekko from Grabit & Run got in touch with us to advise us that during the interview Fred had admitted to him that he had been for an interview with them before. Gordon Gekko was in two minds at this stage – on the one hand it demonstrated initiative as Fred had freely admitted in the interview that he was aware if he had told us as recruiters we were unlikely to have put him forward, but on the other hand it smacked of deception and desperation to get a job. Gordon Gekko seemed to be in two minds because he was aware that even though they had interviewed Fred before, it was highly likely that we as an agency would be claiming a fee for our services. He was completely correct. We emailed Gordon Gekko back to advise him that yes, it was all very unfortunate, but at the end of the day we had introduced Fred in good faith to Grabit & Run, who had got back, whether in good faith or not, to indicate that they wanted to interview him. They had duly interviewed him and as a result it was irrelevant whether or not Fred had interviewed with them before. Naturally, if Fred had advised us before he attended the interview and we had gone to the trouble of setting this up, sending his CV in and doing all the necessary, it is likely we would have spoken to Grabit & Run before sending the CV in to establish exactly what had happened and when, because obviously if he had only interviewed for the role a few days beforehand we would clearly not want to be introducing him again, and Grabit & Run would not want to be paying us to introduce him again. Unfortunately this did not happen. Gordon Gekko at Grabit & Run did not reply to us after we had indicated to him that we would be expecting a fee in the circumstances. We were not surprised as we expected the firm simply to not bother proceeding, knowing that we were going to insist on a fee. Unfortunately this was not the case. Grabit & Run decided they were going to recruit Fred but do it without telling us, thinking presumably that they would get away with it. Fortunately for us, and unfortunately for Grabit & Run, they published an article on their website which was reported to have been written by Fred, clearly indicating that Fred was now employed by them! So did this end well for anyone? Watch this space. We contacted Gordon Gekko to advise him we were aware of the good news and to ask him for a salary level so that we could issue our invoice, we were met with a barrage of hostility. Gordon Gekko was of the opinion that we had failed in our duty as the recruitment agent because we had not checked with the candidate before he attended the interview that he had not been for an interview with Grabit & Run before. Furthermore Gordon Gekko thought that in some way this was negligence on our part, and if we were to proceed to impose a fee we would be affecting the career prospects of an innocent person, i.e. Fred. I have to say that in the 20 years I have been working in recruitment I have come across some interesting arguments for not paying our fee, but this has to be one of the best (apart from “I am a barrister and therefore I have decided not to pay your fee”). So where do we go from here? Well quite obviously we will be suing Grabit & Run for an estimated fee for the introduction of Fred, because we have done our job and we expect to be paid for it. Furthermore, Grabit & Run have attempted to go behind our back and recruit, which does not lend itself to us wanting to negotiate with them any form of reduced fee. We look forward to the county court hearing (not). How might this have been different? Well, if Fred had told us from the outset that he had been for an interview with Grabit & Run already, then assuming this had been some time before, say 12 months, or he had been rejected, we would have put his CV forward anyway. If the interview had been within the last few weeks and no outcome indicated it is very likely we would have notified the firm of this so that they could make their own opinion before they went ahead with the recruitment. It is a difficult line to draw between when a recruiter is entitled to a fee and when they are not. The usual test is whether or not it is the same vacancy, and whether or not the candidate has been rejected by the client. Clearly in circumstances where a candidate has been rejected for a role by a client and then we introduced them for an interview, then it is up to the client whether or not they go ahead with it, knowing they have already seen the client from another source. However, we would always tell the clients that we were aware the candidate had been for an interview before as there is no reason why we wouldn’t. Similarly, we would not expect to have to specifically ask a candidate if they had been for an interview with a firm before – I think most of our candidates would think we were a bit mad if we were asking this! In this case Fred knew exactly what he was doing as he admitted it to Gordon Gekko during the interview with Grabit & Run and that he thought it would diminish his chances if he told us. Now he finds himself probably being glared at everyday by his boss because Gordon Gekko probably knows that as and when the case goes to court he is going to lose and is going to have to pay us a considerable amount of money in costs. An article by Jonathan Fagan, MD of Ten Percent Legal Recruitment. MD and Founder of the Ten-Percent Group, which includes the www.Ten-Percent.co.uk Legal Recruitment Website, the Ten Percent Financial Recruitment Website (www.tenpercentfinancial.co.uk), and Interim Lawyers (www.interimlawyers.co.uk) and JonathanFagan.co.uk. Also author and editor of the Legal Recruitment News - www.legal-recruitment.co.uk - a monthly newsletter for law firms, employers and candidates, plus the award-winning blog - www.legalrecruitment.blogspot.com. 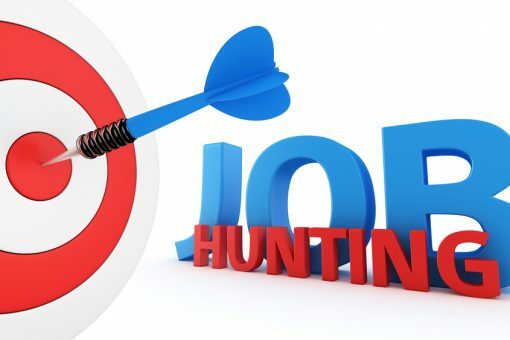 Jobhunting – what can I do to improve my chances of finding legal work?